We’re going in a new direction soon and will begin explaining the meaning and significance of the dimensions of the Third Temple. All the proportions we’ve learned about through the Torah, the Names, and the universal constants will have new meaning as we explore the place where all the Shefa (life-force) flows through into our world. Before the Third Temple can be constructed we must understand it. It already exists spiritually, but just knowing the dimensions and erecting stone walls won’t do it. We have the knowledge and it’s coming time to apply it. When we take the process and the knowledge run it through our hearts we will connect to the Tree-of-Life, the greater universe, the Cosmos, and the Holy Third Temple. And then it will be time. A long time ago, I promised to explain and expand on Abraham Avinu’s layout of the Cosmos first delineated in his Sefer Yetzirah, and now we will do so in the context of the Holy Temple’s design. G-d willing, we will all understand. When Noach sent out the dove 3 times to find dry land it was an allusion to the 3 Holy Temples, and to the 3 times the numbers 5778 and 2019 appear in the first 1000 (Aleph) digits of Pi (See There’s Nothing Random About the Universe). It’s almost time to let the dove loose again. There is a lot of work to be done this year and the holiday of Sukkot is almost upon us. They are calling for rain in New York and that’s not good. We’re going to need the power of the sukkah and of the unifications we can make in it in order to do our work properly so we’re going to need everyone’s consciousness in a place of unity, love, and sharing to stave off the rain this year. Let’s all spend the next few days thinking, speaking, and listening through our hearts and the blessings will come to all. I’m repeating and updating below an article posted a year ago to explain many of the secrets and kavannot of the shakings of the lulov within the sukkah. This year, if we shake with our hearts we will shake the world awake. Let’s do it together. Regarding the daily shakening of the four species, they would seem to correspond to (5 sets x 6 directions) the 30 blasts of the shofar, and the numerical gematria value (30) of the large Lamed (connected to Binah) in the Torah. Lamed has the numerical value of 74 or 70 +4, which as you’ll see later, representing the 70 Nations and 4 species. That Lamed connects to the Lamed of Lulav. It’s also the Lamed that along with the letter Pe controls the month of Tishrei (Libra), according to Abraham Avinu, in which we do both the shofar blowings and the shakings. It’s also the lamed of the word aleph (ELP, the first), and when the controlling letters of Tishrei are completed with the letter Aleph (Aleph-Lamed-Pe), they connect to both keter and the beginning, as in Aleph B’Tishrei (permutated to spell Bereshit, the beginning). With 18 shaking per each of the 5 sets there are 91 total shakings per day, which corresponds to amen and teh all-important unification of G-d’s Names that it represents (YHVH-ADNY ) and to the value of the word Succah itself. Moreover, at 30 daily shakenings x 7 days, there are 210 total shakings, as in the 210 years of Egyptian exile. And when the 3 shakings per direction are considered, there are 210 x 3 or 630 total shakings in the 7 days. 630 is 10 x 63, the value of the Tetragramamton in the aspect of Binah. The 10 always corresponds to the 10 sefirot (dimensions) and in this case to the 10 sub-dimensions (inner sefirot) within Binah. During the entire process of Sukkot, we’re drawing down the energy from Yesod of Ima (Binah) so the Binah connections are very fitting and part and parcel to the technology involved in the shakings. Regarding the four species: As we know from the Arizal, the four species correspond to the Tetragrammaton (YHVH): Hadas (Yud), Aravah (Hei), lulav (vav) and Etrog (hei). So since the numerical values of Hadas and Aravah = 346 (Shmo), the two species above correspond to Y-H Shmo (the Name of YH), as in 5 of the 6 letters that occur at the top of the 248 columns of the Torah that are not vavs, excluding the initial Bet of bereshit. But the three sides of the sukkah itself forms the shape of the letter Bet, completing the B’Y-H ShMV sequence. The missing Bet from the B’Y-H ShMV sequence would also appear to be the Bet in lulav (LVLB), since the word lulav represents teh whole Torah in two different ways in that it begins with (L) and ends in (B) and also ends in the letter combination Lamed-Bet (LB), as in the first (B) and last (L) letters of the Torah. This letter reversal is an allusion to the recycling of the Torah that occurs during this period when we read the last verse of the Torah and immediately twist it back to the beginning and read from Bereshit. And as in known from chazal, etrog has the value 610 as in parnesa (sustenance) and ma’aser (tithing) and their various meditations for drawing the Shefa into our lives. The Etrog corresponds to the malchut of yesod, the place where we earn our parnesa (sustenance). But the total value of the 4 species = 1024, which is 256 x 4 with 256 being the value or the Ark of the Covenant (also Aaron) and 1024 being both 210 as in the 210 years of exile yet again, and also 1024 represents the 1024 unique word values in the Torah, which is not coincidence and not coincidentally 32 x 32 which when we study the structure of the Third Temple, we’ll understand how they all relate and relate to the 32 paths of the Tree-of-Life. Furthermore, as we meditate on ending the 4th exile by sharing light with the 70 nations through the 70 sacrifices, it’s appropriate that the sum of the 4 final letters (B,G,H,S) in the names of the 4 species add up to 70, while that of the Hadas and Arava alone add up to 65, the numerical value of Adonai. Interestingly, and not coincidentally, the sum of the ordinal value of the 16 x 4) letters in the names of the 4 species is 151, as in the value of the Name, Ehyeh (EHYH) spelled out (milui) and also of the word, mikve. Moreover, the sum of the ordinal value of the letters in lulav is 32, as in the numerical value of the letters Lamed and Bet (LB), which spells Lev, the Hebrew word for heart, and as previously mentioned the last and first letters in the Torah. Yet another connection to the 32 paths of Wisdom, which is in essence the Tree-of-life, represented by the lulav, whose standard gematria value is 68, that of chaim (life). And note that the Inner Courtyard of the Third Temple is 100 cubits by 100 cubits and the Alter in the center of it is 32 x 32 cubits, leaving space of 68 cubits all around. Moreover, when we add Lulav’s standard value and its ordinal one, we get 68 + 32 = 100, the value of, sach (SCC), the very important roof (covering) of the Sukkah and the representation value of keter, the highest sefira. Now, while the last of the 11 letters in the words under the 11 dots is the letter ayin, with a value of 70, the complete value (standard and ordinal) of all 11 letters under the dots is 422, which is the exact numerical value of the word “seventy (70)” (ShBAYM). 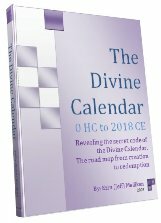 These, of course, connect to the destruction of the first Two Holy Temples in –422 BCE and in 70 CE, respectively, as is detailed and chronicled in The Divine Calender. It’s also not a coincidence that the letter ayin, with a numerical value of 70, has an ordinal value of 16, as in the 16 letters of the 4 species discussed above. Sukkot is the time of joy, when the energy of rejoicing is drawn down upon us by our actions within the succah for the whole year. Let’s do all we can to spread that rejoicing to the entire world. 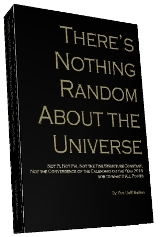 Author Jeffrey MeilikenPosted on October 1, 2009 October 1, 2009 Categories RevelationsTags 1024, 2019, 207, 210, 256, 32, 32 paths, 4 species, 5778, 610, 65, 70, 91, amen, Aravah, ark of teh covenant, binah, etrog, exile, Hadas, Holy Temple, Judaism, lulov, maaser, noach, parnesa, Religion and Spirituality, Sefer Yetzirah, shakings, Shefa, succah, sukkah, sukkot, sustenance, Temple in Jerusalem, Tetragrammaton, Third temple, Tishrei, tithing, Torah, tree-of-life, Yahweh, YHVHLeave a comment on Sukkot is Upon Us. Have you ever wondered how we know so many of the secrets that you haven’t been able to find elsewhere? Ask yourself where we started our journey? In this week’s Torah portion (Pekudei), referring to the redemption, the Tabernacle, H’Miskan (HMShCN) was built and there’s lots to say about that, but for now we’ll be brief. Like so much more in the Torah, it connects to Creation itself and to the very first verse of the Torah, and that verse is derived from the 42-Letter Name (Ana B’koach) . “Betzalel was combining the letters of the Name 42, and did the various works with different combinations of thereof. He used each combination to do one task, and all that pertains to it. And so with all the works in the Tabernacle, together with its parts and amendments, he used combinations of the letters of the Holy Name 42. If the 42-Letter Name could build the Tabernacle, which brought sustenance to the world by uniting the dimensions of Binah and Malchut through Zeir Anin and indeed created heaven and earth, as no less an authority than the Zohar and Rabbi Shimon Bar Yochai tell us, then what can the 42-Letter Name do for you? What can’t it do for you? Are you using it enough? Are you using it to be proactive? (If aren’t familiar enough with it, please read The Genesis Prayer). Chazal tells us that it’s through the understanding of the 42-Letter Name that the geula (final redemption) will happen. Considering all that it’s done already, is there any doubt that it can do that as well? The secrets of the combing of the letters will be revealed over time in this blog. Some have already been given, some were revealed in he Genesis Prayer. Everyone’s help is requested in this matter. If anyone of you is a programmer and would like to help us rewrite the gematria programs to reveal more of the secrets locked in the Torah, please just write in to us. One of the secrets of this portions was that it took 3 different types of energy to manifest the Tabernacle as reflected in the gold, silver and bronze collected, and that everyone’s money was accepted; the Tabernacle was for everyone present and participating, all 3 million of them. We’ll save the mathematical explanation of that for another article, but safe to say that if there were 603,550 men, there were a similar number of women and even more children. Help us to help the world in any way you can; everyone deserves a chance to know about the 42-Letter Name. The blueprint for the Holy Temple exists; everyone can share in the process.